Jackie Lee is the CEO of clickTRUE and gives the overall strategic direction of clickTRUE, managing clickTRUE’s fund-raising activities and driving clickTRUE’s expansion plans into the Asia Pacific region forward. He is also the project manager of joint ventures and strategic partnerships. On top of that, Jackie champions innovations and R&D projects within clickTRUE. 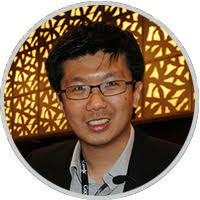 Prior to clickTRUE, he founded Hardware Zone, which is the No.1 Technology Portal in Singapore, and HWM, the No. 1 Technology Magazine in the Southeast Asia region. HWM is published and distributed in Singapore, Malaysia, Thailand, Indonesia and Philippines. HWZ also publishes the following titles: GameAxis.com, GameAxis China and GameAxis Unwired Magazine, as well as PVi (Photo/Video magazine). HWZ was later acquired by Singapore Press Holdings (SPH). With more than 12 years of experience managing the digital and publishing businesses across Singapore, Malaysia, Indonesia, Philippines, Thailand and China, Jackie later started clickTRUE, having developed a deep interest in performance marketing. He attained the Google AdWords Professional level upon starting clickTRUE and enabled the company to receive the accreditations: ‘Google AdWords Qualified Company’, ‘Microsoft adExcellence Member’ and ‘Microsoft adExcellence Company’. clickTRUE was also a Finalist for the Marketing Magazine Top Agency of the Year for Search Marketing in 2009 and 2010. Jackie sits on the Main Advisory Board of NUS Business Incubation of Global Organisations and was nominated as a Member of Partner Connection Fund Evaluation Panel at Ministry of Community Development, Youth and Sports, Singapore. His other Honours include the following: Winner of Genesis Award (Technology) for the 2nd Entrepreneurship Awards by NUS Business Incubation of Global Organisations in 2007; Nominee for Singapore Youth Awards (SYA) – The Highest Youth Accolade in Singapore in 2003; and nomination by the Association for Small and Medium Enterprise (ASME) as Entrepreneur Finalist in 2001. 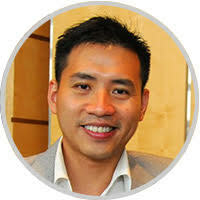 Jereme Wong is the Chief Operating Officer of clickTRUE Pte Ltd. He oversees the daily operations and takes on a hands-on approach in leading the sales team on pitches and marketing the company’s competencies and services. Determined to grow clickTRUE as a dynamic company with a flat hierarchy, he gathers feedback from the ground to build a culture that promotes idea generation and open communication. Nominated by Marketing Magazine as one of the top 25 rising stars from Singapore’s marketing, advertising and media community, he is a strong advocate for digital marketing and analytics. Participating in regular industry forums and events as a speaker, he is an active evangelist on Search and Social Media marketing to help businesses increase their brand visibility online. Classified as a true “net-breed”, he is also passionate about upcoming trends online and shares his knowledge openly via Twitter. Prior to clickTRUE, Jereme co-founded Hardware Zone Pte Ltd in 1998, a dot-com turn publishing company that published content for the popular technology website and magazine, www.hardwarezone.com and HWM respectively. He was responsible for developing both publications from inception, overseeing the back end production to marketing. Subsequently, as a Media Director, he leveraged on his intimate product knowledge to craft out sales strategies and helped propel the company’s overseas operations in Philippines, Thailand and Indonesia. He was credited as a key driver in transforming the company into a profitable, multi-million publishing business to become one of the few successful home-grown companies in Singapore with an online business model. The company was sold to SPH Magazines Pte Ltd in 2006. clickTRUE Pte Ltd was subsequently founded, and later incorporated as a wholly owned subsidiary of SPH Magazines before a management buyout in 2010. He holds a Bachelor of Engineering in Electrical Engineering (2nd Upper Class Honours) from the National University of Singapore. Jereme specialises in Print Publishing and Advertising, Online Marketing, Search Engine Marketing, Social Media Marketing, Web 2.0 Engagements and Web Analytics. 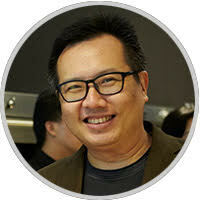 Adrian is part of the founding team of clickTRUE Pte Ltd, a former subsidiary of SPH Magazines. He spearheaded the company’s efforts to receive accreditation as a Google Analytics and AdWords Certified Partner and is now focused on expanding the local and regional Online Marketing Services operations. A regular speaker in the region, Adrian advocates Search Engine Marketing / Optimisation and Web Analytics as a necessity for any organisation. Prior to this, he played a pivotal role in establishing the Search Engine Marketing (SEM) division in Hardware Zone and handling the sales, marketing and account management of the division. Working closely with Google Singapore, Yahoo South East Asia and media agencies to develop the capabilities of the division, he managed to yield profits in just a year. Adrian’s experience crosses into the public sector as a Policy Officer with the Infocomm Development Authority of Singapore. At IDA, he specialised in modelling technical and business feasibility of telecommunication projects in the country as well as engaging and liaising with foreign counterparts on policy issues at the regional level. His background as a Project Engineer at Keppel Corporation, where he served his tenure as a scholar, also helped honed his expertise in managing projects, handling tendering processes and dimensioning of regional telecommunication network infrastructure projects. He holds a Bachelor of Engineering in Electrical Engineering (1st Class Honours), Minor in Law, from the National University of Singapore. He was on the Dean’s list for two consecutive years and graduated as one of the top students in his faculty. Adrian specialises in areas of Search Engine Marketing, Search Engine Optimisation, Web Analytics, Advertising & Marketing, Product Management, Project Management, Workflow Conceptualisation, Policy Making and Government Liaison. He has been accreditated as a Google Analytics Authorised Consultant, Certified Google AdWords Professional, Yahoo Ambassador, Microsoft AdExcellence Member and SEMPO Member. 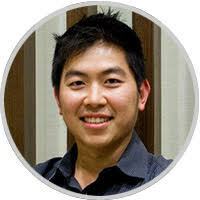 Scott Poh is the Director of Conversions & Optimisation at clickTRUE and leads the design and web-development team, specialising in conversion optimisation. Scott started programming from the age of 13, and majored in Computer Engineering during his undergraduate, and Knowledge Engineering during his postgraduate. With more than 20 years of experience in IT, he applies his knowledge and analytical skills in the current job scope like it’s second nature. Before taking up the role of Director of Conversions & Optimisation, Scott was the Director of Technology in clickTRUE, leading a team of developers in supporting the parent company – SPH Magazines which publishes more than 100 titles in Asia, in rolling out and maintaining the entire network of magazine websites. Prior to clickTRUE, Scott was one of the co-founders of Hardware Zone Pte Ltd. He was the Chief Programmer and was responsible for implementing many key features of the popular IT portal. Subsequently, with the maturing of the portal and the launch of its flagship magazine – HWM, Scott took up new challenges as the Circulation Director, managing road shows and marketing of the magazine and other subsequent print titles until the company was sold to SPH Magazines. Scott holds a Bachelor of Engineering in Computer Engineering (2nd Upper Class Honours) from the National University of Singapore. He specialises in Programming & Web Development, Conversion Optimisation, Web Analytics, Search Engine Optimisation, Project Management, Project Consulting, Content Management Systems, Print Circulation & Marketing. Start your digital revolution NOW!